RAM and MOBO is OK by testing loading using ubuntu cds. 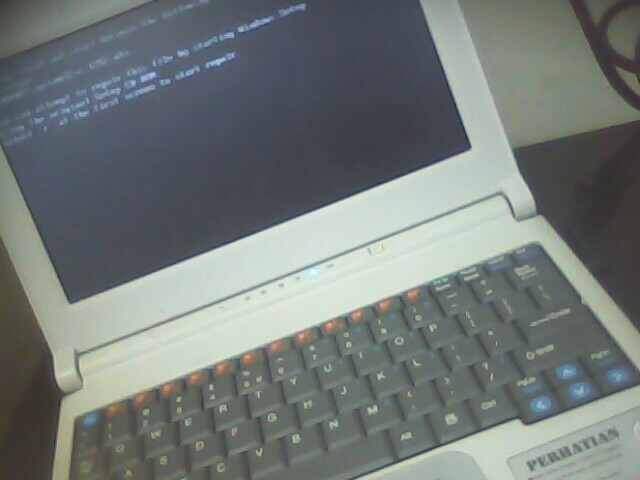 Bring back the Harddisk for further testing at Iklik Home -> HARDDISK FAULTY. Reassemble hardware and clean the unit. Client agree on proposed solutions, a new hardisk+ format. Fortunately he backup his data upto last week transactions cos we unable to read the harddisk for data backup.